From the peak of the San Giorgio, at 1,000 m elevation in southern Ticino, you can enjoy a view overlooking the lake and the mountains that offer unforgettable glimpses of the region. However, the San Giorgio especially prides itself in its accession to the UNESCO World Heritage Sites thanks to its fossils. These are exhibited at the Museum in Meride, designed by Ticino architect Mario Botta. In a couple of hours' walk you can reach the summit from Meride while, on the way down, you can choose the western route on one of the most interesting segments of the Geo-paleontological path. If you are lucky to have a clear day, the Monte San Giorgio excursion is ideal to admire the region from above while fossil amateurs can satisfy their curiosity at the foot of the mountain, in Meride, where you can visit the museum. In its recently renovated building, some of the archaeological findings are exhibited. To reach the San Giorgio, you can choose different routes. Comfortable and easy, the one that leaves from the church of San Silvestro in Meride (if the building is open, take a peek, it's worth it). You will initially climb up a large paved mule track shaded by a thick forest. Afterwards, the trail will flatten. In about 45 minutes you will reach Cassina, where a chapel and shelter are located. By taking the trail that climbs to the right of the chapel, in a few minutes you will arrive at the fossil excavation site. Go back to the chapel and follow the yellow signs for San Giorgio. Walk another 35 minutes - with a final steeper ascent - and you'll finally reach the summit, where a church was built. The view is spectacular. 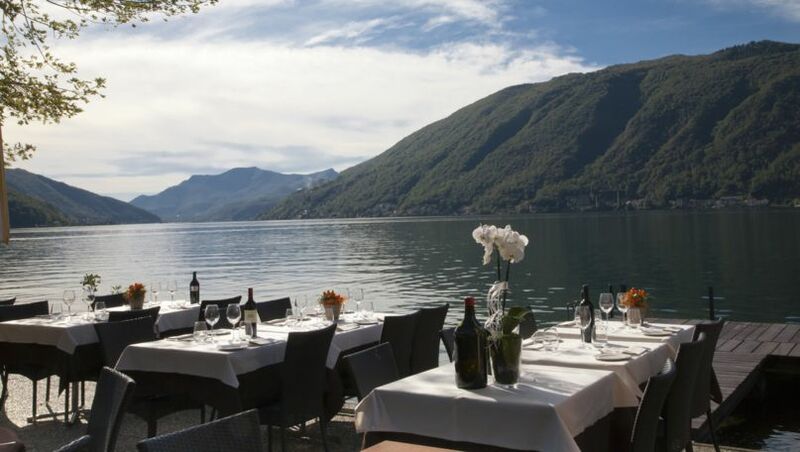 Particularly visible are the banks of the lake Lugano with Swiss and Italian towns and villages, the Malcantone, Morcote, the Arbostora, San Salvatore, Rovio and Arogno. For the descent we recommend following the yellow signs for Serpiano, Crocifisso and Meride. The itinerary lengthens by approximately an hour but allows you to reach one of the most interesting parts of the Geo-paleontological path. Rich in illustration panels, the trail twists around the Monte San Giorgio and on the Italian side. The first panel you will encounter is number 9 in front of a mine. Pierced at the beginning of the 1900s, it had five tunnels of about 400 meters in length. Bituminous schist was extracted, a rock that was transported to Meride and from which they would obtain oil and ointment used for therapeutic purposes. But the bituminous schist mines were also rich in fossils. Bernhard Peyer was the one to discover that, with his assistant, in 1907. Hereafter systematic excavations were done bringing to light full animal skeletons of such scientific importance that San Giorgio became known as the "Monte dei sauri" (Dinosaur Mountain). A little further along the long trail you will reach another important place for research: Acqua del Ghiffo, where Peyer discovered a large reptile, called Ceresiosaurus calcagnii in 1931. As you approach Meride you will see in the distance the old factory chimney where the bituminous schist was transported and transformed into medicinal oil and ointment. Inaugurated in 1910, it closed in 1950. A little further, another panel introduces the Val Mara where in four different excavation sites fossils of fish, crustaceans, land plants and, for the first time, two insects were unearthed. You can reach Meride in a few minutes and continue the paleontological experience by visiting the Museum of fossils designed by architect Mario Botta. Through models and multimedia interfaces you can immerse yourself in the San Giorgio of 240 million years ago: a lagoon populated by animals now extinct. 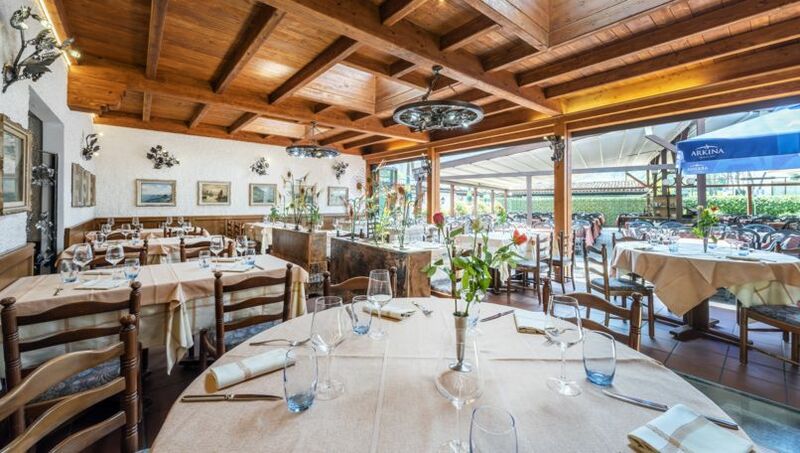 After the visit, it's worth going for a stroll through the village's alleyways, one of the most charming ones in Ticino, and possibly conclude the day at the Grotto Fossati (Fossati Tavern). 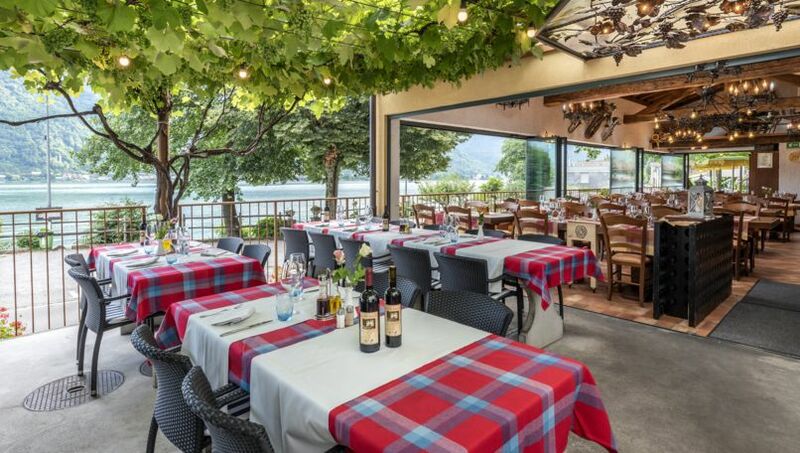 There you can taste Ticino's culinary specialties accompanied by the authentic polenta cooked over the fire and where a rich wine list is proof of the region's excellent oenological quality.